Martha Berry Digital Archive | Letter to Martha Berry from John B. Morris Jr.
Letter to Martha Berry from John B. Morris Jr.
John B. Morris Jr. sends a $150 check from him and his mother for Rachel. 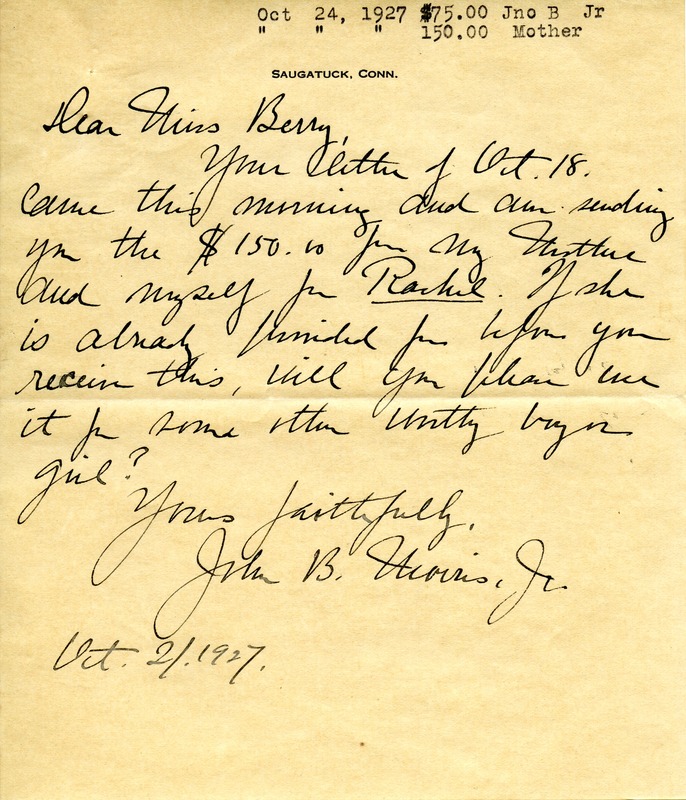 John B. Morris Jr., “Letter to Martha Berry from John B. Morris Jr..” Martha Berry Digital Archive. Eds. Schlitz, Stephanie A., Chelsea Risley, Aaron Jackson, et al. Mount Berry: Berry College, 2012. accessed April 21, 2019, https://mbda.berry.edu/items/show/5179.